At Owlpen we understand that it is sometimes easier to see just one quote, instead of having to work out different costs, and expenses per head once you have done that. In recognition of this, we offer a midweek wedding package which keeps things simple. Use of the estate for two nights, where required. We invite you to arrive the day before your wedding, to give you an opportunity to decorate and get ready for the big day. We can also host a dinner or informal get-together the night before, in the Cyder Barn, if required. Use of the Owlpen Manor Estate including the gardens and grounds. Exclusive use of the medieval Cyder Barn for dining and dancing. 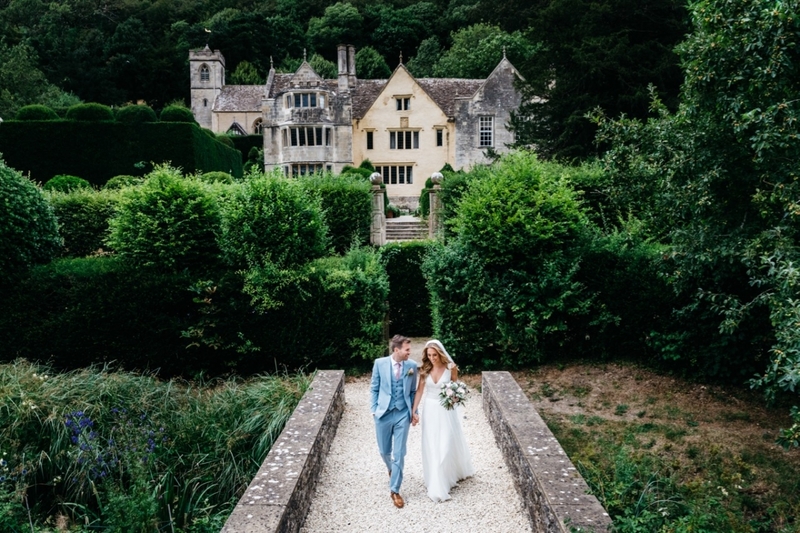 Access to the Manor House itself for ceremonies for up to 50 people. Use of the make-up room and bridal accommodation free of charge. 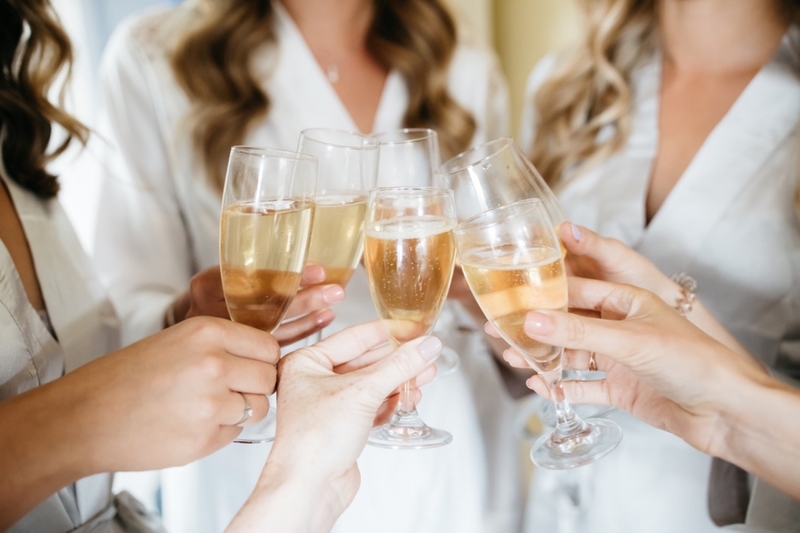 Wine: our package includes a bottle of wine per head, spread out over the reception and meal, and includes a glass of premium sparkling wine for a toast. We offer beer buckets at a discounted price if you would like more variety during the reception, and our fully stocked bar will be open all of the time for other drinks. Food: the cost includes a three-course meal: choose from a range of options outlined below. 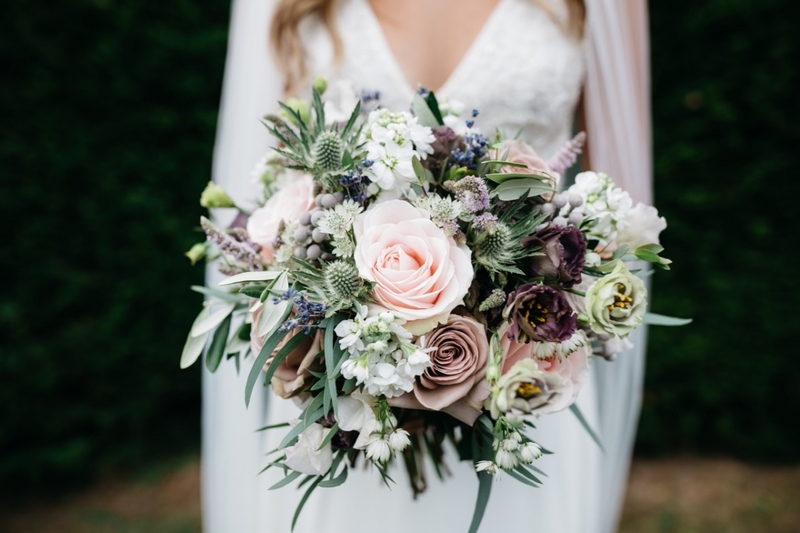 The price for our midweek wedding package is £4750, which includes alcohol and food for up to 40 people. For additional guests, the fee is £56 per head, £27.50 for children, and £15.00 for infants under five years old. They can enjoy bottomless soft drinks all day (elderflower, orange juice, apple juice), free of charge. The holiday cottages are charged out separately. Our nine boutique holiday cottages can sleep 40 people in total, and cost £40 per person per night, based on a two-night stay (the night before, and the night of the celebrations). Choose from one of our best-selling options for starter, main and dessert. This is a three-course meal, which does not include canapés. The cost of canapés is £7.50 per person. NB you can choose canapés as a starter at no extra cost, if preferred, to be served during the drinks reception. Trio of Local Sausages, Celeriac Puree, Braised Puy Lentils, Cavalo Nero and Caramelised Red Onion Gravy. NB vegetarian option also available. The package explained above includes alcohol for you and your guests during the reception and the meal. In total, it works out as a bottle of wine per head. Our house white is a Southern French Sauvignon-Viognier, in the style of the New Zealand Sauvignon Blanc but with more notes of apricot instead of grapefruit. Our red wine is a Merlot from the Languedoc. It is a classic, robust red wine which pairs well with grilled or roast meats and root vegetables. Known as a Blanquette de Limoux, this delicious, dry French sparkling wine often wins against Champagnes in blind tastings!